My best friend (long ago recipient of this slip as her wedding gift) has finally joined me in the adventure of parenthood, albeit a decade late and two provinces away. 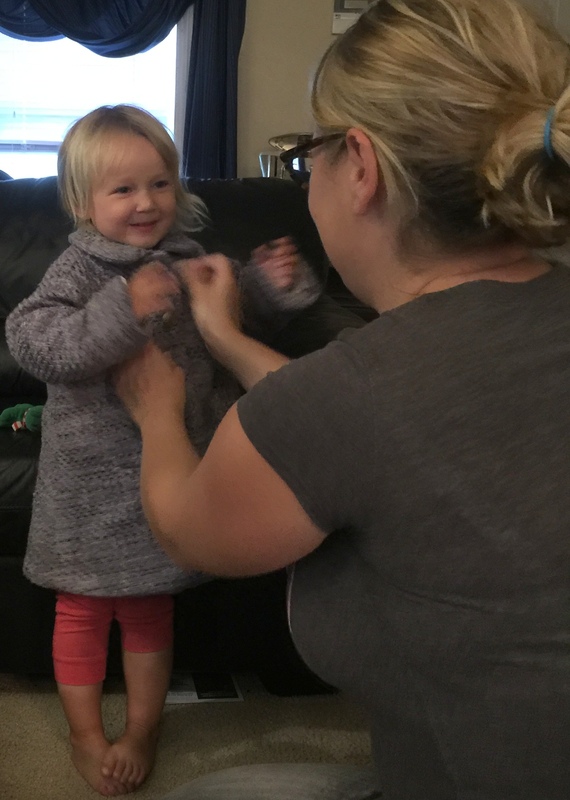 Two years ago I made a cute little coat when her first daughter was a baby. 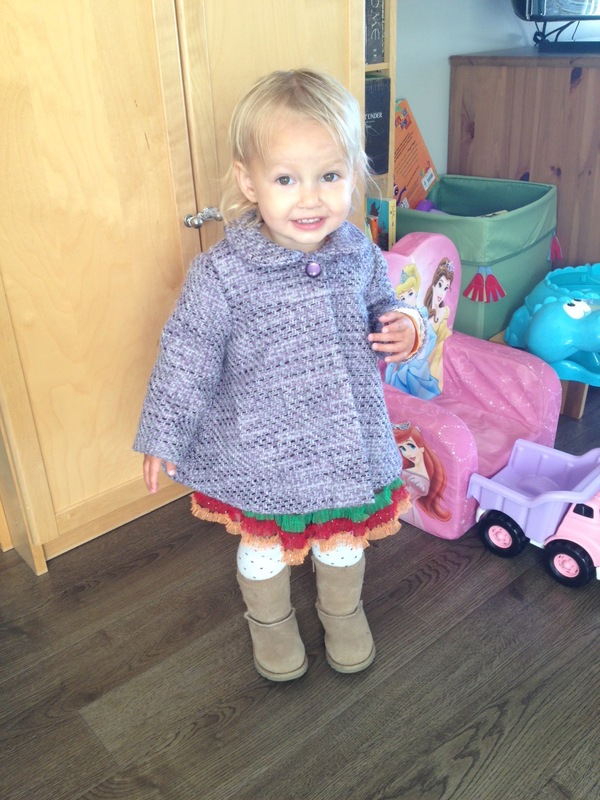 Despite my misgivings about the size, it turns out she was able to wear it all that winter, so I’ll call that a win. This past summer my friend and her husband had baby number 2, another girl, and again opted to spend some time, albeit more brief, visiting here. 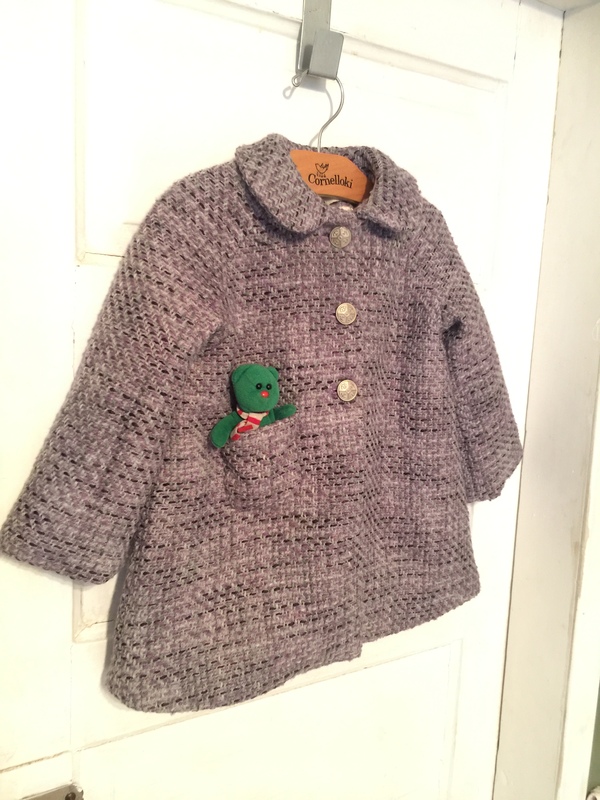 It seemed like the perfect opportunity to make another coat. And use up a bit more of the same purple coating. (I have enough for at least one more size up, too.) What was I thinking when I bought that? 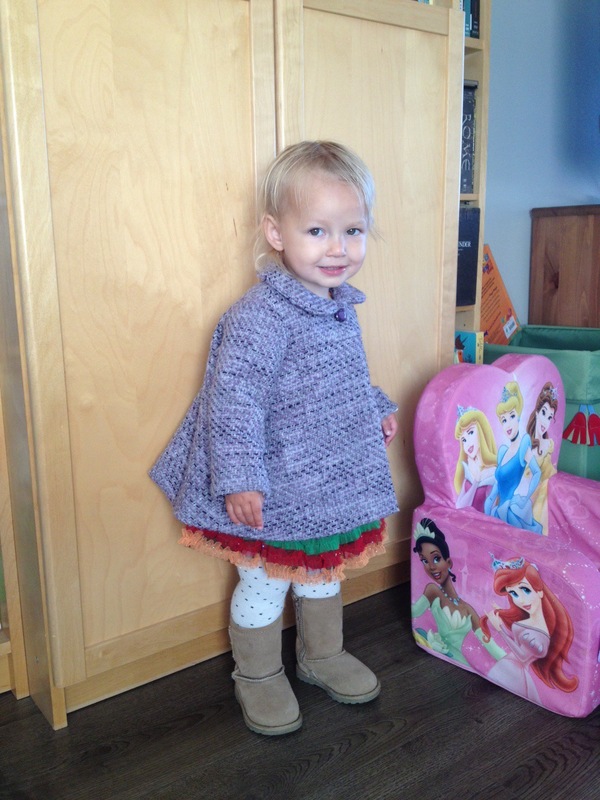 For a quick refresher, this is what Big Sis Q looked like, when the little coat still fit her. 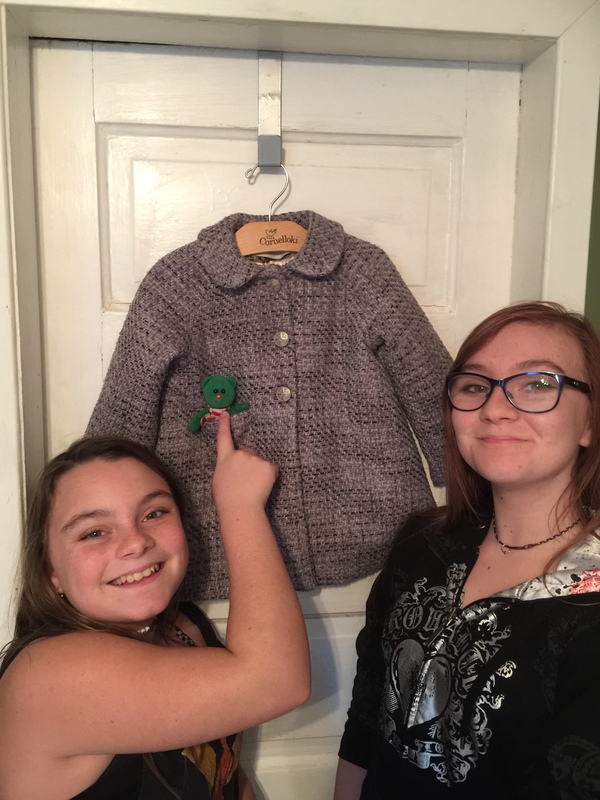 This time the pattern of choice was Simplicity 5934, another 70s kids coat pattern, in a size 2. Q is now just shy of 3, but the chest size was a match, and once again I added some length to the sleeves and the hem. 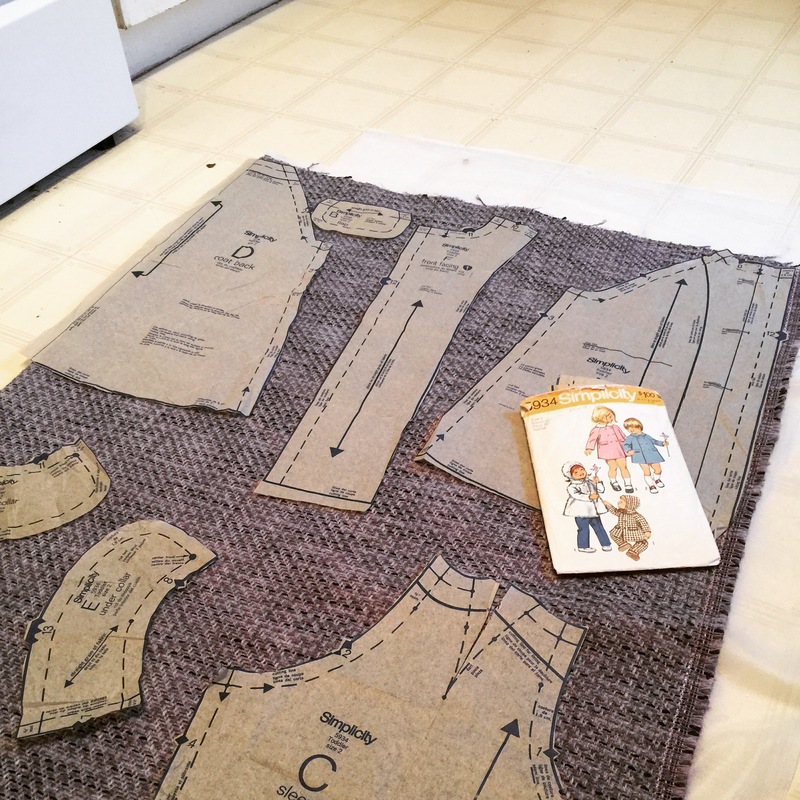 Simplicity 5934, with bias undercollar and “cut here for lining” lines! The lining ended up being the real star of the coat, though. I couldn’t find any more Kasha flannel-backed lining in stash, cry, so I had to settle for some random ivory satin and a heavy flannel (left over from the winter petticoat) for underlining. I had done a cute little hand-quilted “Q” on the back of the first coat’s lining; for this one I knew I didn’t have it in me to hand-quilt, so I decided to try my hand at a wee bit of machine quilting a more overall pattern. 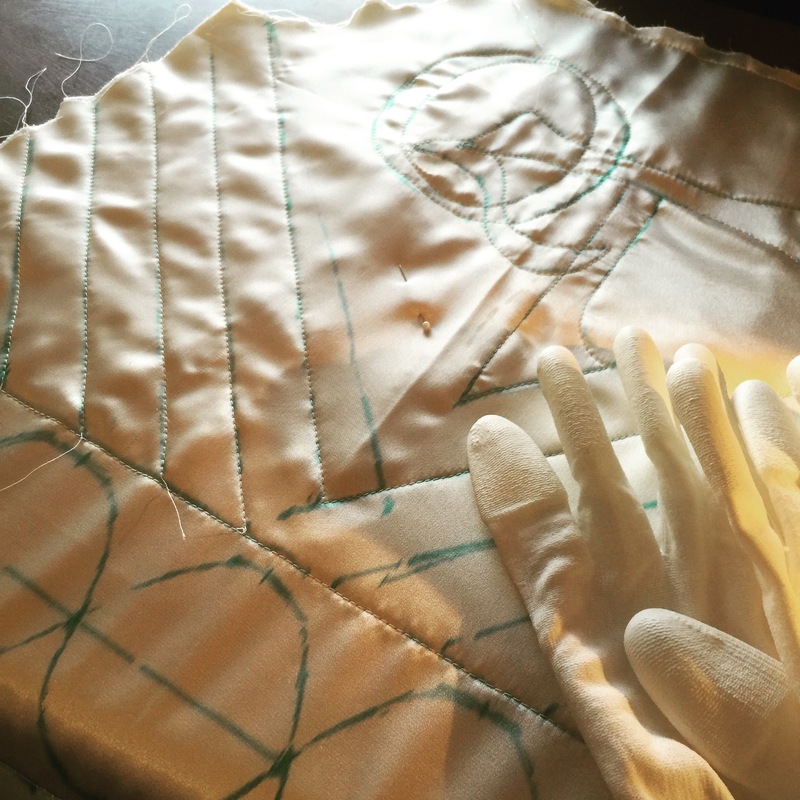 I’m not much of a quilter, but I do have a walking foot for my Rocketeer, so I spent a wee bit of time testing how it worked with the two layers (smashingly!) and what kind of shapes I could manage. 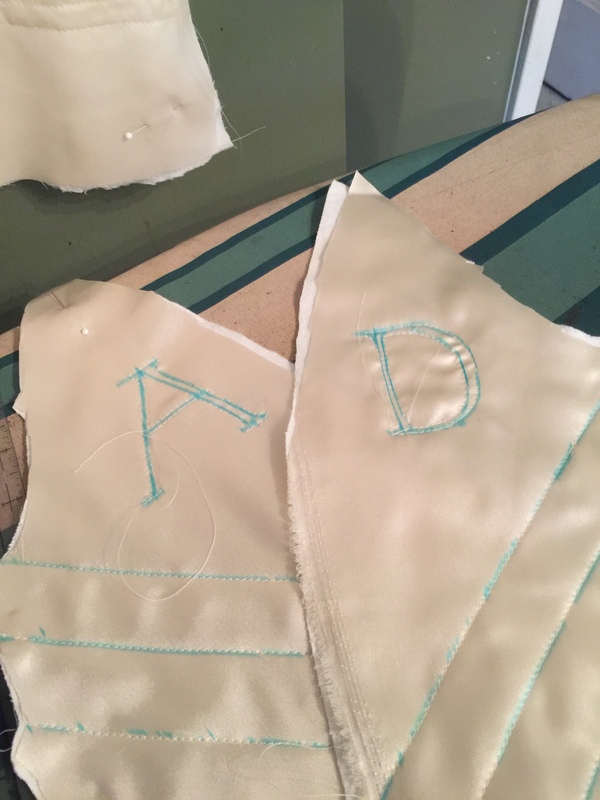 Q now has little sister T, so I doodled up some Q and T shapes for the centre back, and a swishy braid (ok just two windy lines) for along the hem. For the front pieces, I worked in an A and a D, for each of the parents. It’s either really cute or way over the top saccharine. If you think the latter, you do not need to tell me. 😉 Frankly, I’m just impressed that I was able to doodle up some decent-looking letters freehand—no printouts or templates were involved. The wash-away blue marker worked just fine, but for the first time I can see why the stuff that just disappears on its own would be handy, too. I did some stupid things in construction, like forget that I had added a back-pleat to the lining so it ended up looking kinda gathered when I eased all that extra fabric onto the facing. Now, the 70s pattern has cute pocket flaps, but no actual pockets. 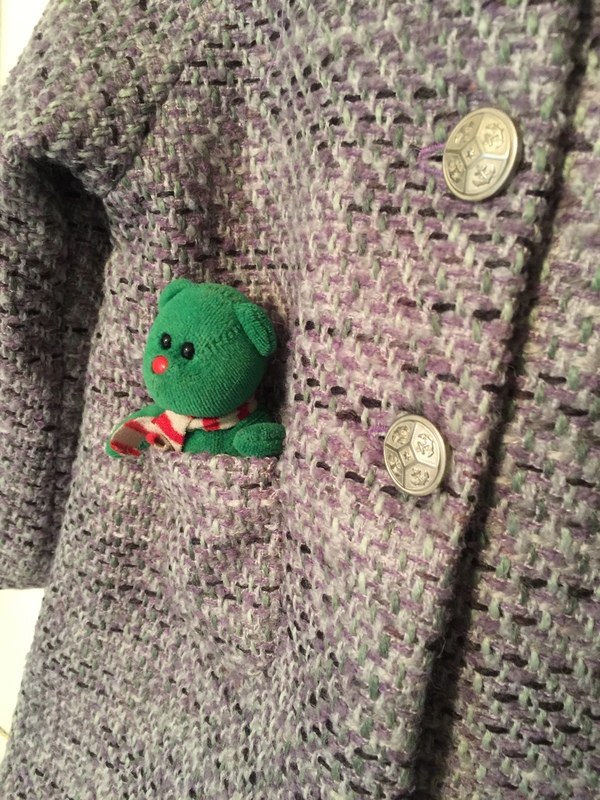 Q has been carrying around a very tiny green teddy bear (imaginatively named Green Bear) for the last several months, so obviously a pocket for Green Bear was mandatory. I guessed at the size, made a lined patch, and hand-stitched it on for invisibility, with knots every other stitch since, um, preschooler. The fit turned out very well. 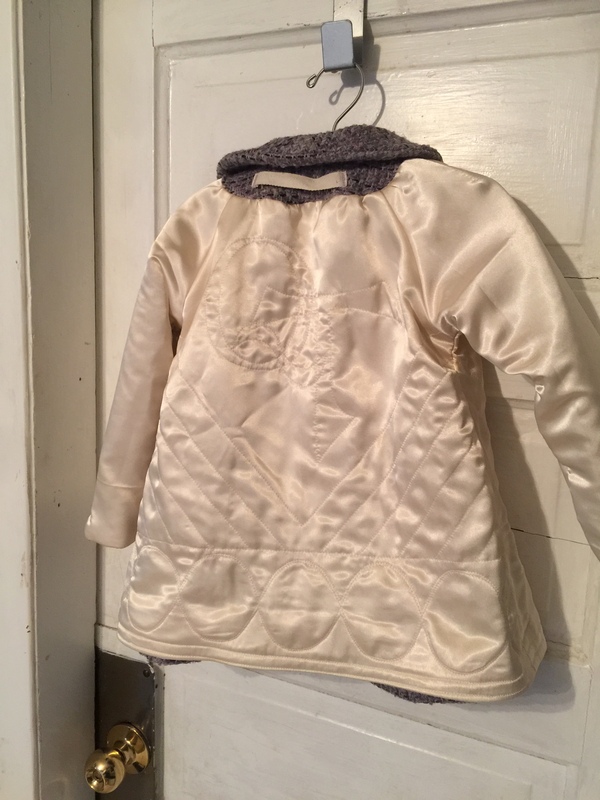 Confession: I don`t actually think I’ve topped the CUTE of the first coat (tinier is always cuter, plus the yoke feature is adorable) but I’m pretty proud of the lining, at least, and feeling a distinct twitch towards making myself a quilted skirt or something. 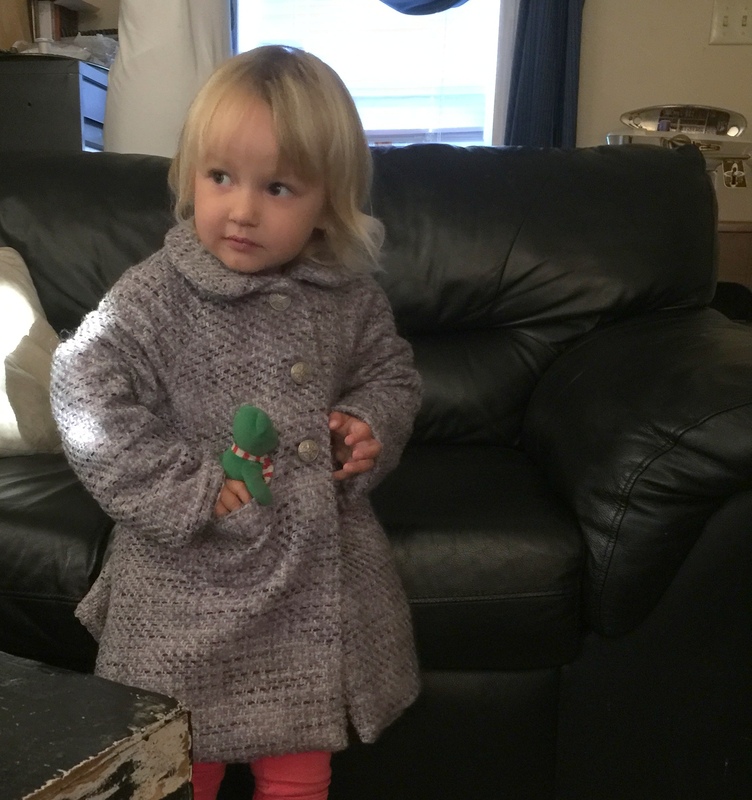 And A has promised me pictures of BOTH girls in BOTH coats as soon as little T is big enough for the smaller one. Syo and Tyo agree that it’s pretty cute.